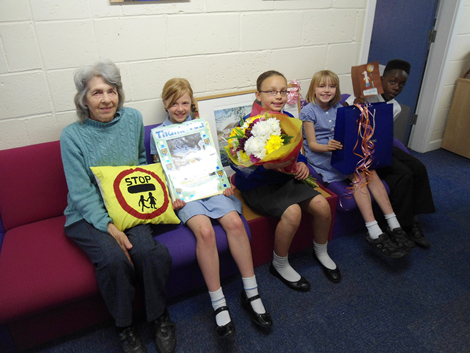 She has helped generations of children across the road safely and now, after 42 years of outdoor school patrol in all weathers, Val is storing away her lollipop stick . 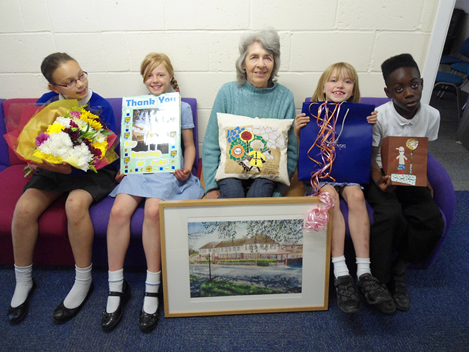 Pupils and staff at Rockmount are now saying a fond farewell to Val who has decided to retire. We would like to thank Val for all her hard work and devoted service and wish her the very best.